Dogs Bite Decatur Al: LAS VEGAS, CLARK COUNTY NV - SUSAN SWEENEY, 58, WAS FATALLY MAULED BY THE FAMILY'S RECENTLY ADOPTED "MASTIFF MIX"
LAS VEGAS, CLARK COUNTY NV - SUSAN SWEENEY, 58, WAS FATALLY MAULED BY THE FAMILY'S RECENTLY ADOPTED "MASTIFF MIX"
A woman is dead after a dog mauled her inside her northwest Las Vegas valley home. Metro Police say it happened Monday night near Farm Road and Decatur Boulevard. 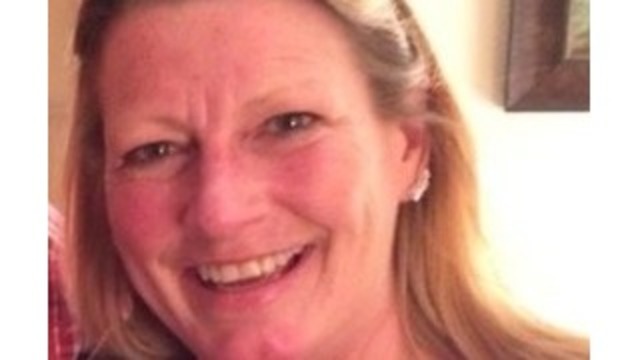 The Clark County Coroner identified the woman as 58-year-old Susan Sweeney and her cause of death as mauling. 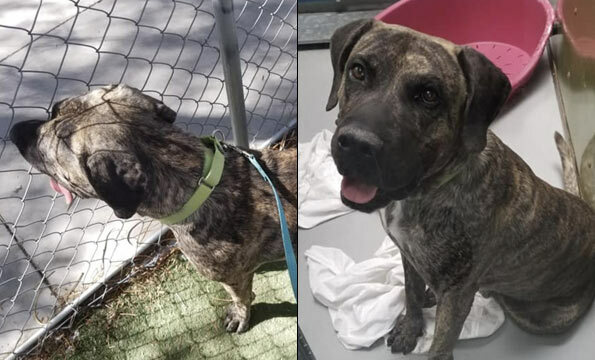 "The Animal Foundation has recently learned that a woman who adopted a large dog from our shelter lost her life as the result of an apparent attack from the same dog. At the request of her husband, the dog was humanely euthanized after the conclusion of the Las Vegas Metropolitan Police Department’s investigation. The Animal Foundation did not have any information regarding the dog’s prior circumstances that would have led us to believe that he was unsafe, and while this dog was in our care his behavior did not raise any concerns. There are no words that can appropriately convey the deep sadness felt by The Animal Foundation. Our sympathies, thoughts, and prayers are with this woman’s family in the wake of their heartbreaking loss." There is shock and sadness in the neighborhood after the unexpected attack. "It's a very scary thought," said Chase Westerby, neighbor. "I have dogs of my own but I can't picture that happening. This is the first time I have ever heard of something like this so close to me." Westerby describes the scene he saw when Metro Police found Sweeney dead in her home Monday night. "It was all the way to the stop sign, like up to here, half cop cars, half regular cars. Then I saw a lot of people, family, friends," he said. This, after officers say a family member called to report the animal had attacked the woman. "It's very rare but it can happen," Westerby said. Westerby doesn't know the family but is a dog lover. "We're so used to dogs being a loving friendly animal that just hearing one attack someone is very surprising." Hearing about this loss of life hits close to home. There have been other deadly dog attacks in the valley. A mastiff mix killed a 1-year-old child in 2012. The family of Sweeney has set up a GoFundMe account to raise money for the funeral arrangements. To donate go here. 17) ??? - UNIDENTIFIED MAN - Killed by dogs he had in his home that authorities believe he had stolen from homes in the neighborhood. 18) 10-1 - SUSAN SWEENEY - 58 - LAS VEGAS NV - She was fatally mauled by a Mastiff/Presa Canario Mix that the family had recently adopted. Pit bulls, Bull Mastiffs, Presa Canarios, Rottweilers, they are all dangerous, and shelters should NOT be adopting them out! Animal Foundation is infamous for peddling pits and pit mixes. This is the supposed Information Age!!!! Why can't people use all the info available to make an informed decision?? ?